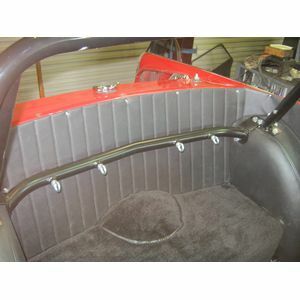 Standalone Harness Bar TR4-6. 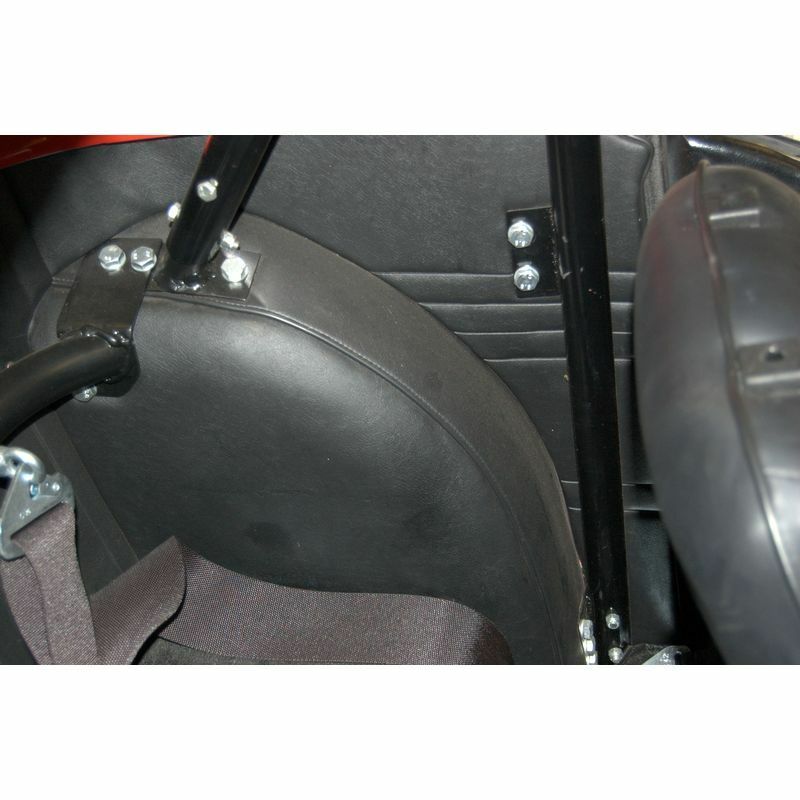 This bar bolts to the wheel arches and provides 4 off 7/16"UNF attachment point for driver and passenger full harness shoulder straps. 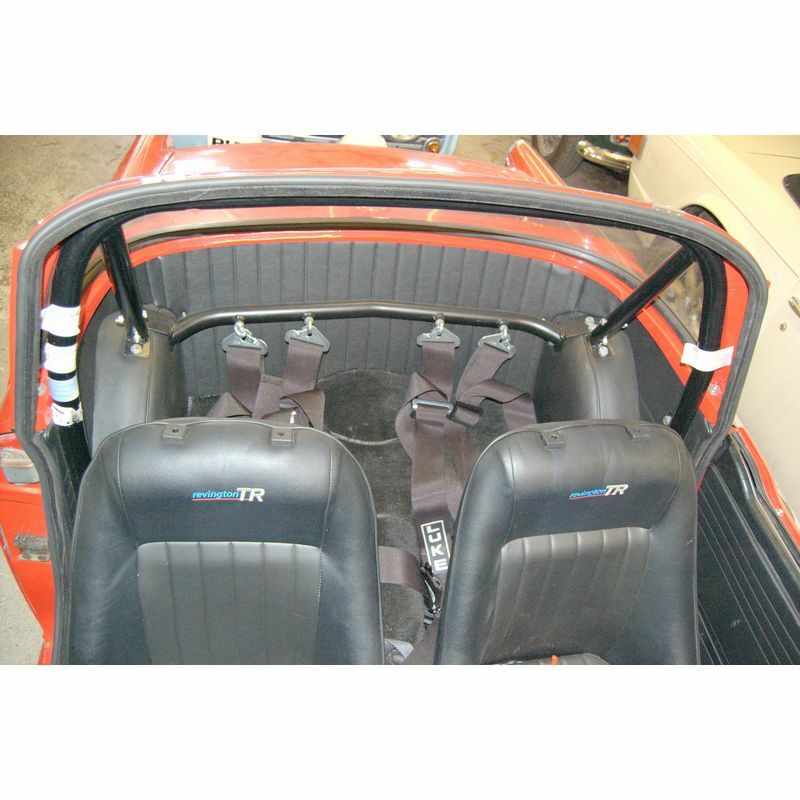 This supplementary transverse harness bar can be used on its own or in conjunction with one of our Roll Over Bar (ROB) kit. 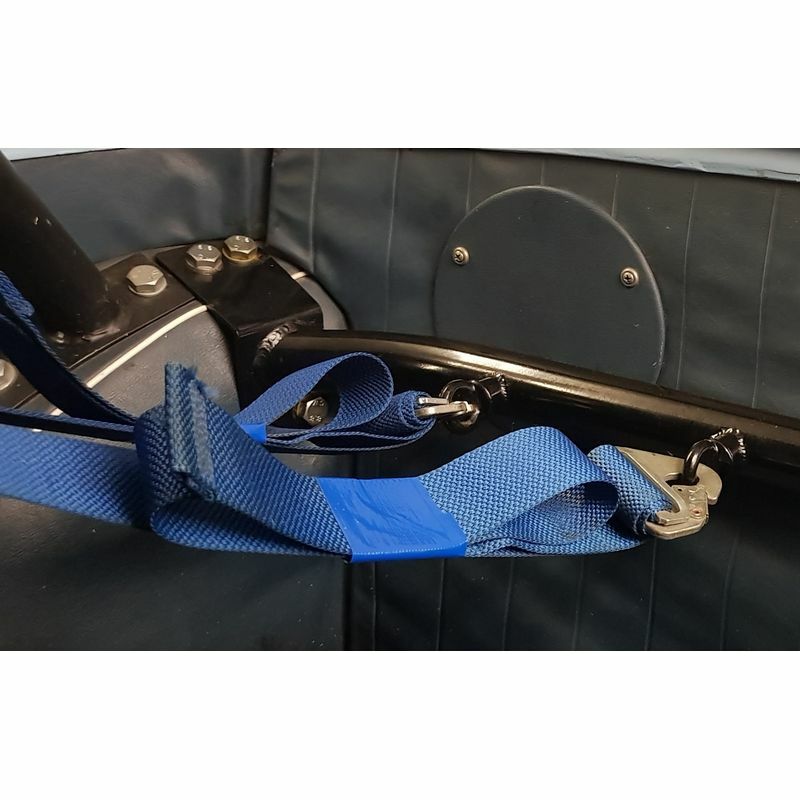 Many owners, whether using their car on the road or the track, will find the use of a harness both comfortable and reassuring. 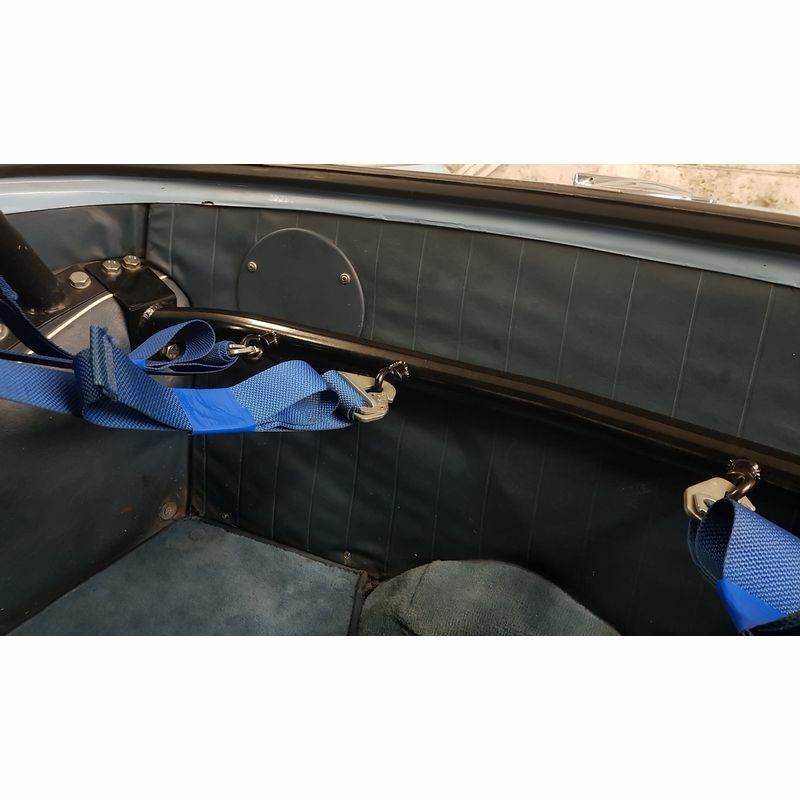 If you have chosen to fit a ROB it is generally considered better that in the unfortunate event of the car rolling over it is preferable to be firmly strapped in. A full harness will achieve this with much greater effect than a lap and diagonal arrangement. 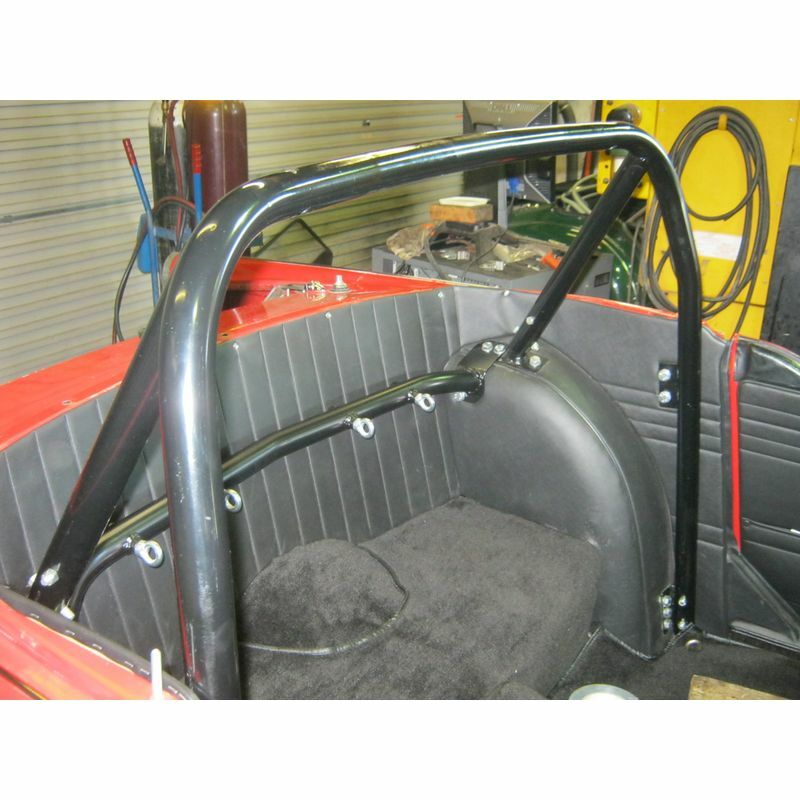 The harness bar is fitted with four 7/16"UNF ferrules, the standard thread for fitting harness eye bolts. Our range of Roll Over Protection (ROP's) is extensive, to help you decide what is best for you we have compiled an information sheet in an easy to follow tablature format. 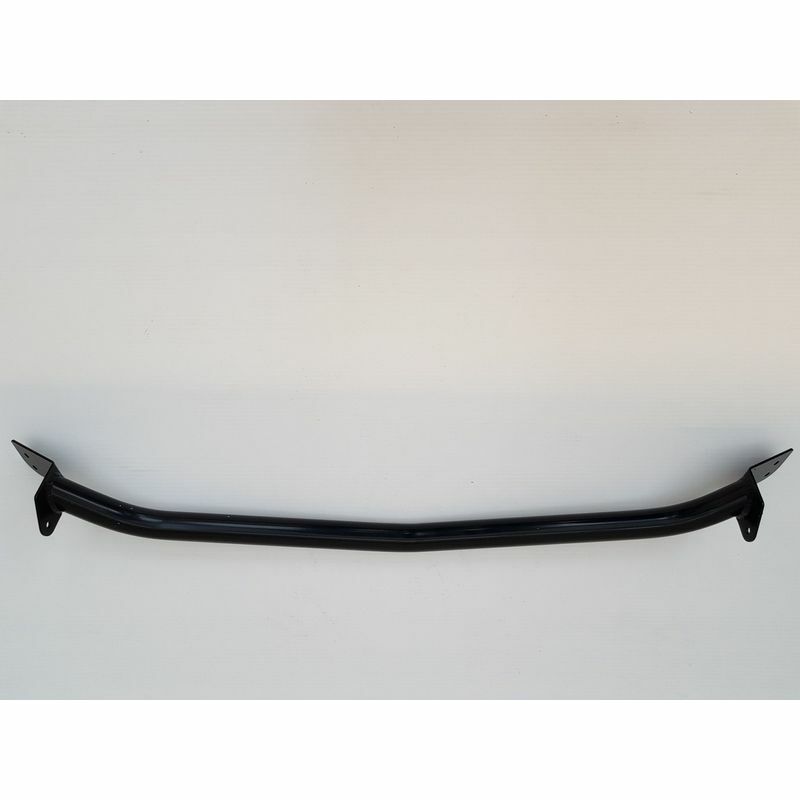 Please see IS0040 here or via the 'Product Data Sheets' tab above. Revington TR information: Eye bolt 50mm long 7/16" UNF Thread.